The Volta bundles XIKAR's patented technologies to deliver a high performance quad flame tabletop lighter. 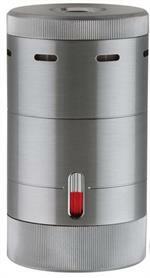 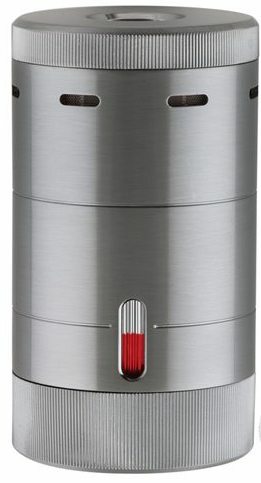 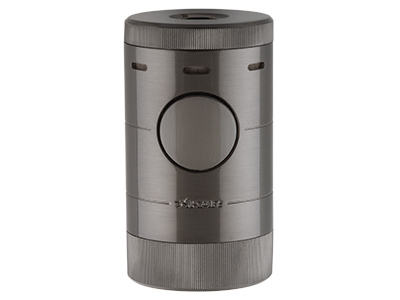 The oversized push button ignition fits flush against the cylindrical metal body creating a powerful appearance. 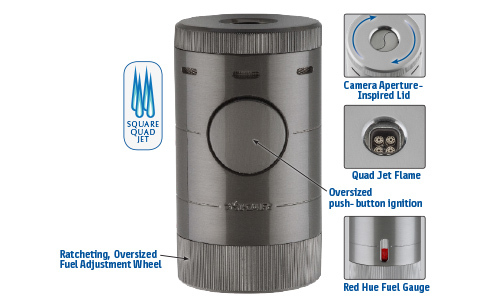 The high tech camera aperture-inspired lid protects the quad burners, keeping debris out with a quick twist of the top lid.